I look forward to each new holiday because I can experiment with different cupcake ideas. 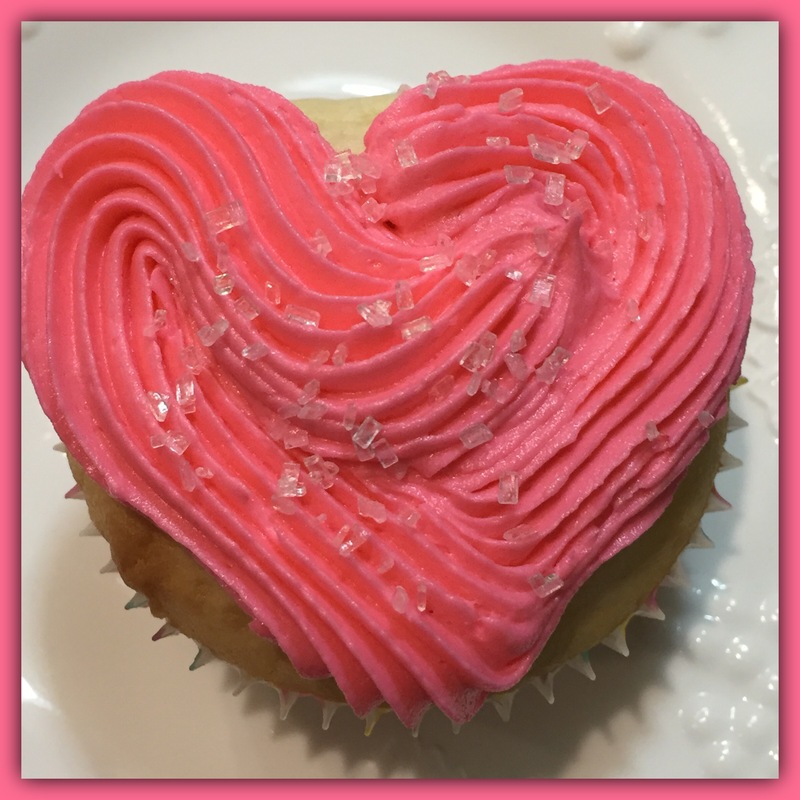 Valentine’s Day definitely called for a heart shape cupcake. 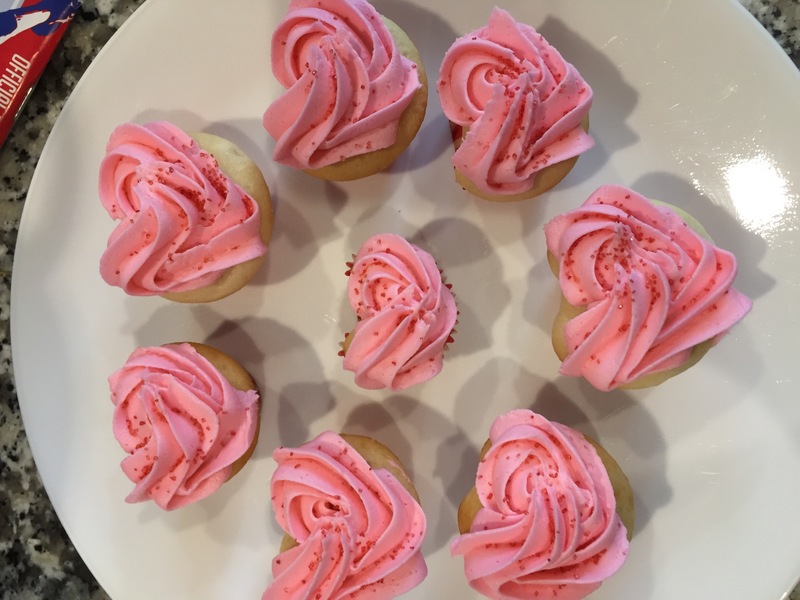 I did a quick search of Valentine’s Day cupcakes and found this great trick for making heart shaped cupcakes without a specialized pan. Prepare cupcakes as you would normally. I wanted light and fluffy so I went with Duncan Hines Simply White cupcake mix. 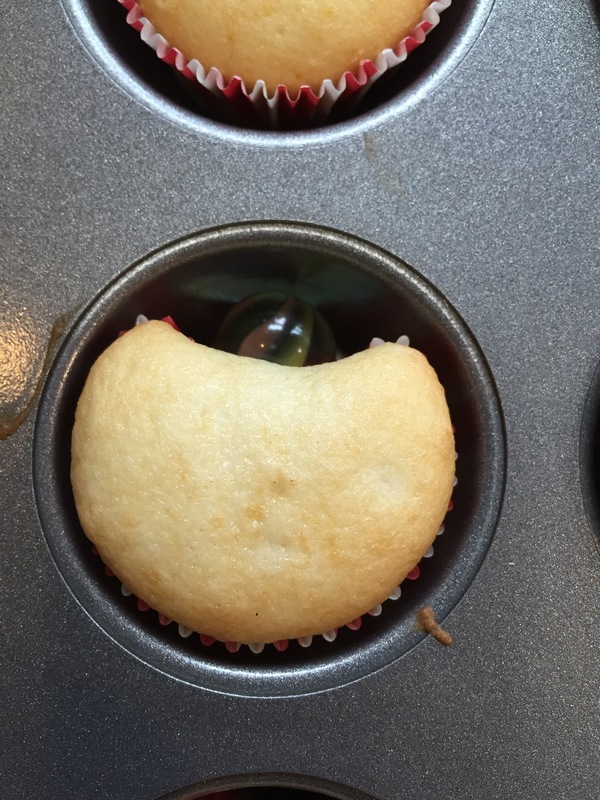 Prepare the cupcakes according to the recipe and fill the cupcake liners as you would normally. 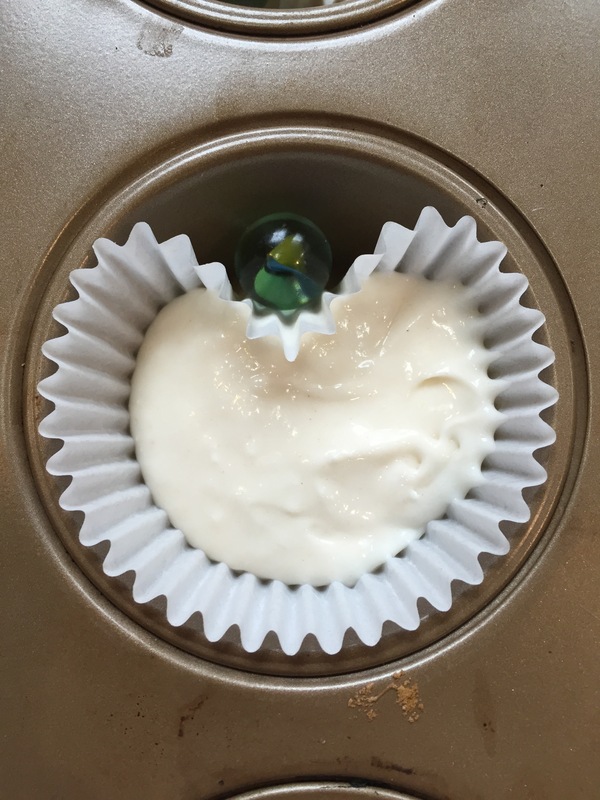 Then place a marble outside each liner in the cupcake pan. This creates a heart shape. The first time I tried this I didn’t have marbles and substituted with tinfoil rolled up into balls. It didn’t really work that well, the marbles worked much better. The marble created the beginning of the heart shape but it was really the icing that makes it. Buttercream icing is always my top choice for icing because it tastes great and the consistency is perfect for decorating. 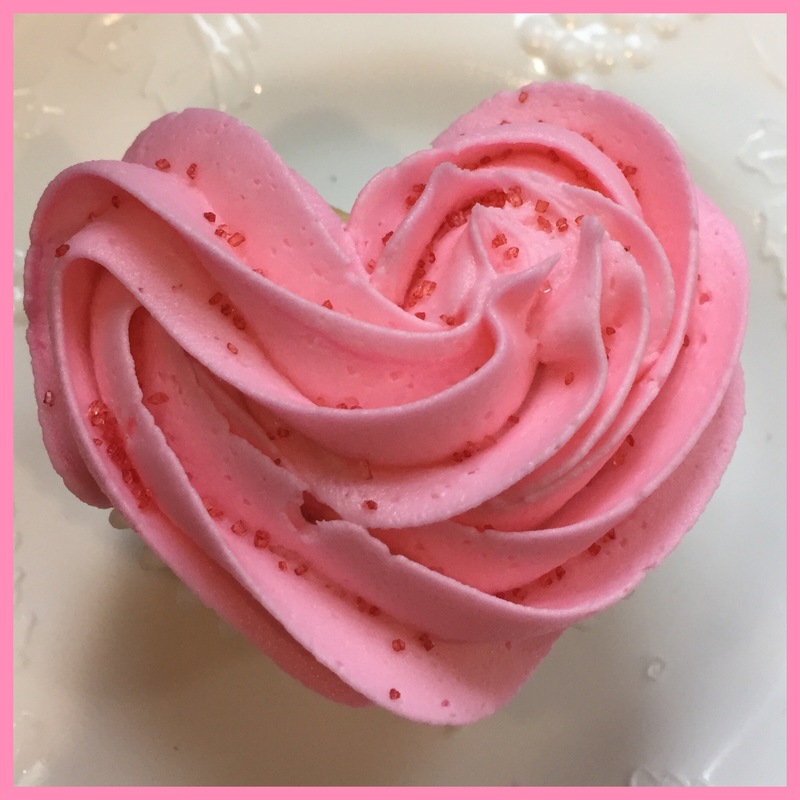 I used Wilton cupcake tips 1M and 4B to create the heart design. 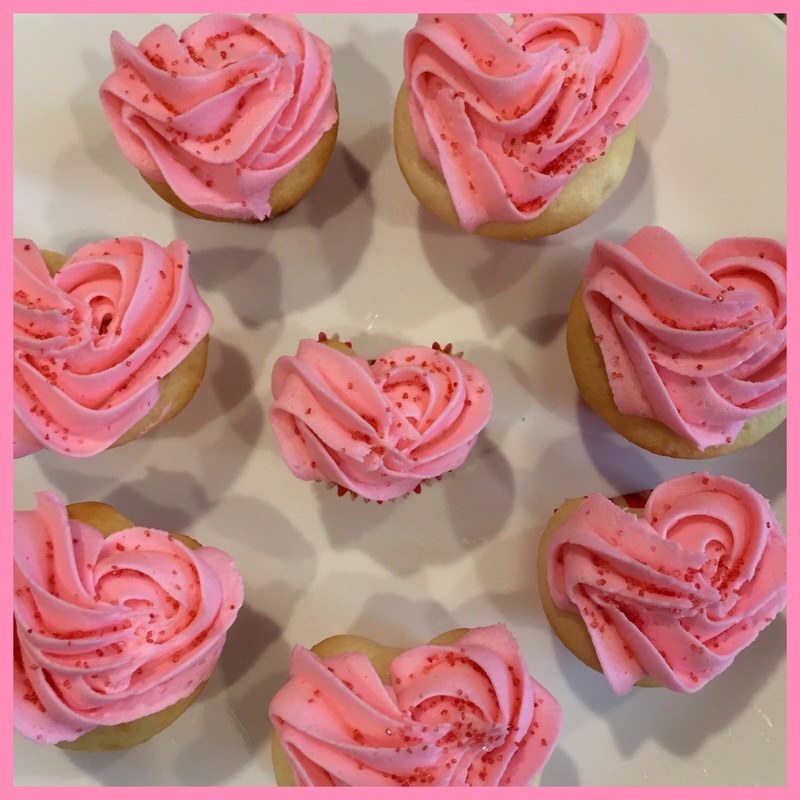 I used one continuous motion starting with the outside heart shape first and then continued by creating hearts inside hearts until the cupcakes was covered. 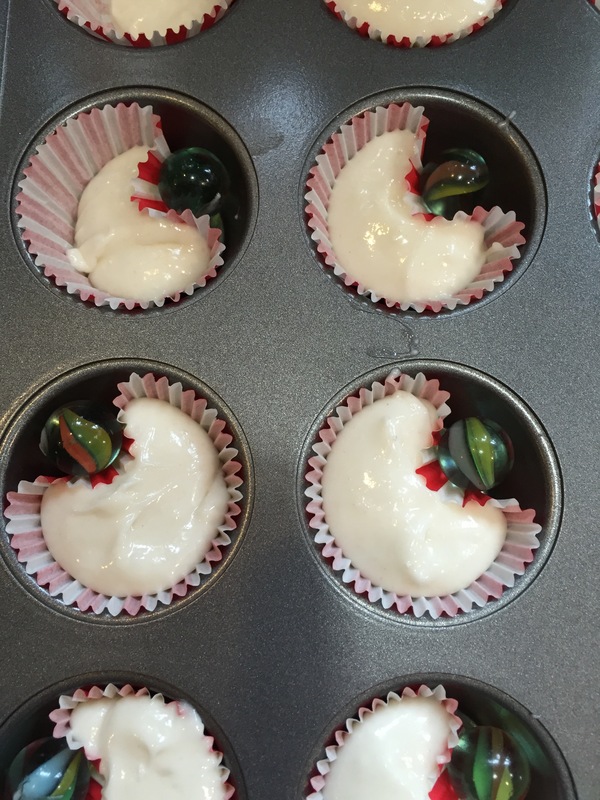 I also tried the marble trick with my mini cupcake pan with equal success. How cute! Will try it this Valentine’s Day!